Airbus, through its Space Equipment business segment is Europe’s largest and most innovative equipment supplier, offering an extensive portfolio of solutions for all types of space missions. With an unparalleled track record for in-orbit reliability, Airbus Space Equipment possesses all the necessary expertise required to help you to design & engineer your innovative and cost disruptive new space applications related to launchers, telecommunications, Earth observation, navigation, science and manned space flight. We have developed the world’s first multi-band, multi-satellite electronically steered array – LINKS . The paradigm-shifting alternative to traditional parabolic dishes, LINKS , is the first commercially available, mobile, rapidly deployable electronically steered array RF ground system to hit the market. ATLAS uses this proprietary technology to continually grow our global ground network of antenna, without increasing costs to the customer. Built around the Freedom™ Software Platform, our network provides a simple, affordable, scalable option for satellite operators and launch companies alike. Aventior is in forefront of data science and digital transformation. We use deep neural networks, AI and computer vision to process satellite images (and real-time videos) for detecting and classifying objects of interest. Applications range from anti-piracy, protection of EEZ, land-use, urban planning, waste management, oil exploration and agriculture. C-COM is the global leading designer and manufacturer of the iNetVu® mobile antenna system, a one-button, fully motorized, auto-acquire VSAT. Selling worldwide through a network of over 500 resellers, in more than 100 countries, C-COM develops commercial grade products for verticals such as government, military, oil & gas, broadcasting, emergency response, disaster recovery, telemedicine, or any user who requires broadband access via satellite. The company offers vehicle mount (Driveaway), transportable (Flyaway), Fixed Motorized (FMA) and Backpack (Manpack) solutions for Comm-on-the-Pause, and is working on solutions in the Comm-on-the-Move vertical market. Longer term, C-COM is developing electronically steerable phased array systems that, if successful, could forever impact the satellite antenna business. Comsat brings over 40 years of experience in the Satellite Teleport industry. The Southbury and Santa Paula teleports are secure facilities connected to multiple terrestrial fiber networks and act as backup for each other through terrestrial and satellite pathways. Both facilities are backed up with automated and redundant electrical power sources, HVAC systems, fire detection/suppression systems, security systems and a 24/7/365 NOC. COMSAT, with the SD Data Center, provide secure, integrated connectivity. COMSAT’s teleports have evolved to keep pace with changing communication needs. SD Data Center brings cybersecurity capabilities to transmissions in the air, ground and water. It provides solutions, and business continuity planning for industries including healthcare, education, financial, military, government and law enforcement. COMSAT also offers a wide variety of satellite phones, mobile and fixed satellite Internet units. COMSAT Land and Mobile ensures SATCOM connectivity is available for remote locations or limited cellular and data network coverage areas. Comtech Command & Control Technologies (aka TeleCommunication Systems, Inc. – TCS) specializes in affordable, high-precision tracking antennas optimized for LEO and MEO satellite missions like Remote Sensing, Earth Observation, and Communications. C&CT is an industry-leading full service provider of integrated ground station equipment and services for satellite and launch vehicle telemetry, tracking and commanding, and we provide high reliability EEE parts management for spacecraft manufacturers. We offer the industry’s largest family of durable and low-maintenance X/Y pedestal antennas that eliminate the keyhole at zenith, cable wrap, and backlash. We also make our own low-loss radomes, as well as carbon fiber shaped reflectors, which enable lightweight, high performance, multi-band antennas. C&CT provides complete engineering services for all ground station related operations, specializing in launch support, range safety, satellite TT&C, and communication systems. We are focused on customer service, technical excellence, and speed of delivery. With more than 40 years in the industry, C&CT is devoted to providing customers with the most cost effective approach to ensure mission success even under the most difficult technical and environmental conditions. 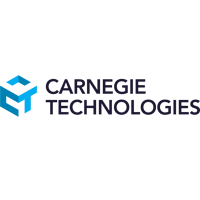 Comtech Telecommunications Corp. designs, develops, produces and markets innovative products, systems and services for advanced communications solutions. The Company sells products to a diverse customer base in the global commercial and government communications markets. Two divisions of Comtech will be at this location: Comtech EF Data (www.comtechefdata.com), the global leader in satellite bandwidth efficiency and link optimization; Comtech Xicom Technology (www.xicomtech.com), the premier supplier of high power amplifiers for satellite communications. Continuous Satellite Data LLC has released a product based on a groundbreaking new technology for spectrum optimization called Opportunistic Modem™ (OM™). OM™ is a patented method that makes it possible to aggregate up to eight disparate “channels” of satellite spectrum in each direction into a single IP stream. The OM™ algorithm features a remarkable level of resiliency for a commercial technology. When any channel is impaired by either jamming or interference, that channel can be removed digitally from the OM™ aggregate, dropping the data rate of the aggregated IP stream by that channel’s contribution to the overall data rate of the IP aggregate, while preserving traffic occupying the other unaffected channels. Similarly, once the channel impairment is removed, that channel can be re-integrated seamlessly into the aggregate IP stream. Leveraging this feature of the technology would make it possible to reduce the “spectral exposure” of critical traffic by distributing it across multiple carriers, or multiple transponders. CRP USA produces components for Motorsports, Aerospace and the Entertainment industry utilizing Additive Manufacturing and Windform materials. CRP USA has space flight heritage as both main spacecraft structure and as spacecraft components. DataPath brings over 25 years of specialty communications and cyber security solutions expertise to military, government and commercial customers in remote, austere, and at-risk environments. DataPath brings together fully custom end-to-end solutions, robust military and industrial grade engineering and wraps it up with industry leading customer service. This is ‘The DataPath Difference’, making our customer’s mission our mission and making it right no matter what. Visit us at www.datapath.com and find out why customers in over 40 countries and on all 7 continents have made DataPath their choice in total end-to-end communications, cyber security and network monitoring and control. 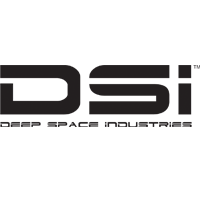 Deep Space Industries (DSI) is a space transportation company building small robotic spacecraft that drives the cost of access to deep space down as much as 50x. DSI’s proprietary spacecraft is the first of its kind, capable of maneuvering on its own power from low Earth orbit (LEO), to geosynchronous orbit (GEO), lunar orbits, and destinations in deep space as far away as Mars. The spacecraft’s agility (up to 5 km/s of delta-V) and ability to launch as a secondary payload allows DSI to support missions in LEO and beyond that were once either technically impossible or cost-prohibitive. In addition to its flagship spacecraft, DSI’s offering includes Comet, a highly adaptable water-based propulsion system for small satellites, approved to fly on multiple launch vehicles as a secondary payload. Comet is shipping and has been selected by many satellite constellation providers over expensive monoprop systems, or power hungry, electric systems. 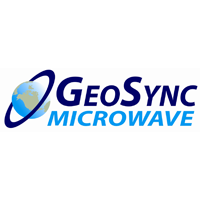 GeoSync Microwave, Inc. was formed in March 2008 by a team of engineers from MITEQ. Lead by Arthur Faverio, a founder and former President of MITEQ Inc. GeoSync Microwave is focused on the development of innovative SatCom communication products that are built with a strong management emphasis on product reliability, customer service and promotion of engineering ingenuity. Catalog product lines; block and synthesized converters, Ka band, redundant switching systems, amplifier systems, uplink power control, translators and equalizer systems. Globecomm provides end‐to‐end value‐added communication solutions by leveraging its core satellite ground segment systems and network capabilities with satellite communication services capabilities. The solutions Globecomm offers include general contracted complex communications networks, GSM and CDMA cellular network and broadband wireless solutions, maritime communications solutions, militarized commercial off the shelf products and services, voice over Internet Protocol (VoIP) trunking and hosted switching, video broadcast, business recovery, satellite‐based terrestrial restoral, content delivery, M2M services and other networks on a global basis. Globecomm’s customers include communications service providers, commercial enterprises, Internet Service Providers, content providers and government entities. Glowlink is a leader in interference detection, location, and mitigation. 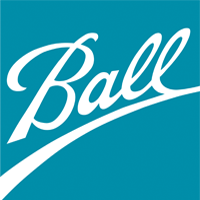 Our mission is to provide customers with breakthrough solutions and reliable products to combat satellite and ground-based communication interferences. Glowlink’s CSIR™ technology (Communications Signal Interference Remover) is the underlying technology for removing interference with no prior knowledge. Embedded in the fielded and proven GS380 product suite, CSIR™ is able to drastically improve operators’ communication links by enabling them discover and excise unintentional or hostile interference. CSIR™ is applicable to a wide range of communications systems whether space- or ground-based, fixed or mobile. Glowlink is based in the San Francisco Bay Area, California. GMV is a trusted partner of leading Satellite Operators, Satellite Manufacturers and Space Agencies worldwide. Since 1984, we provide engineering, software development and systems integration capabilities in the areas of mission analysis, GNC, onboard software, test benches, satellite control, ground stations, mission planning, payload management, flight dynamics, SST, data processing, navigation, robotics, and applications. Involved in more than 400 satellite missions and having a large GMV’s portfolio of flight proven products for satellite operations. Integrasys is a privately owned company specialized on engineering and manufacturing Satellite Spectrum Monitoring systems in the telecommunication and broadcasting markets. 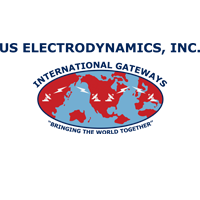 Integrasys was founded in 1990 by a group of Hewlett-Packard engineers experts on Automated RF & Microwaves Test Systems and Software. Since then Integrasys has evolved towards today’s company, offering a wide range of signal monitoring products for different telecom services. At Integrasys our mission is to provide the industry the best quality and fastest technology available in carrier monitoring systems, with the customer service and care that our customers deserve. We want to add value to our customers in quality of service, technology, speed and cost efficiency, by innovating; therefore satellite industry recognizes Integrasys as the Leader for innovation in satellite signal carrier monitoring systems. Ensure purchasing the right provider that You can count on! Many new MEO and LEO constellations will join the early entrants – Iridium and O3B – to provide a platform for global service to fixed sites and particularly to moving vehicles. To enable the latter, a number of companies are developing compact, flat-plate antennas that are electronically (vs. physically) steered and can be mounted on cars, trucks, buses, trains, ships, and planes. But like all satellite transmissions, the signal will be affected by rain and temporary interruptions like overpasses, trees, inclines, and tunnels. 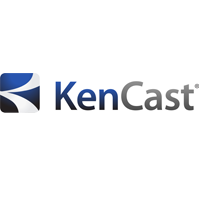 KenCast’s Error Correction solutions will be more important than ever to ensure that content delivery (whether files or live video streams) is resistant to these outages. What’s more, flat-plates are very new and still in development. Providers could get a jump on their competitors by employing KenCast’s Fazzt FEC to compensate for sub-optimal performance and thorny engineering challenges. Kongsberg Satellite Services – KSAT – is a world leading provider of ground station services for satellite in LEO, MEO and GEO. We deliver services from our global ground station network and enable access to satellites anywhere, anytime The KSAT lite netowork is a specialized network of systems tailored for the New Space industry, and is the leading smallsat ground station network. LBiSat is a leading satellite service provider and teleport operator delivering secure voice, data, video and media services around the world. We support our remote applications with flexible, scalable and affordable packages. LBiSat’s technical staff maintains a level of knowledge and understanding that is seldom duplicated. Our Network Operations Center provides outstanding 24/7/365 customer service and technical support wherever projects take you around the globe. LBiSat provides scalable Advanced IP solutions managed securely from end to end with critical reliability and QoS/prioritization for seamless integration with existing or planned IT equipment. Our Emergency Response and Contingency Services provide the only source of communications in the hours and days following catastrophic events. LBiSat also provides Media and Event Management solutions for vital projects including OU Space Segment, Event Management, Uplink/Downlink /Turnaround, Encoding & Encryption Services. LBiSat has provided successful Life Cycle Management for customers in over 100 countries around the world. MIL-SAT leverages a 15 year history of providing advanced high speed GEO, LEO, UAV Drone and Missile tracking antenna systems. Supporting a variety of government agencies, teleport gateways and LEO network operators around the world, MIL-SAT delivers end to end solutions. MIL-SAT offers customized antenna solutions designed for extreme environments such as permafrost, skyscraper rooftops, maritime and remote locations. Customers benefiting from MIL-SAT unique tracking antenna solutions include NASA, NOAA, US Navy, US Coast Guard, and Israeli Defense Force. 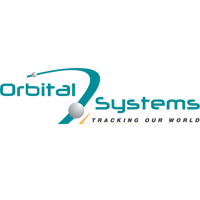 MIL-SAT is recognized as a global leader in wholesale distribution and service for customized or off the shelf Cobham SeaTel LEO tracking antenna systems. Headquartered in Virginia with offices in Toronto and Florida, MIL-SAT is a Small Business Administration (SBA) certified small women owned business. Visit us at www.mil-sat.com for details and contact information. Privately held US Corporation, (estab. 1973) is a registered small business with ISO 9001:2008 accreditation, located in Shirley, New York. MDI, specializes in the rapid design, development, and manufacture of robust, high-reliability DC to DC converters, power supplies, controllers & distribution products for the military, commercial, space and aerospace communities worldwide. Comprehensive range of in-house engineering and production capabilities allow the company to be exceptionally responsive to its customers’ diverse requirements. Professional staff optimized for performance to Mil & Space level Quality Assurance and Program Management requirements. MDI, is uniquely capable of coordinating advanced power conversion technologies with professional management to meet or exceed customer challenges. MDI, is proud of our long heritage of accomplishment and customer satisfaction. We remain committed to providing our partners with cutting edge solutions, reducing risk, maintaining rigorous quality standards and control, and fostering long lasting relationships built on communication and trust. NearSpace Launch, Inc. produces products utilizing the 24/7 GlobalStar constellation network. The result is near instantaneous communications virtually anywhere in LEO with currently a 100% success of 14 of 14 radios in orbit. With these innovations, NSL manufactures and produces custom small satellites, communication systems, and ground data systems for educational, commercial, and government applications. New products include ThinSats for rapid in-orbit testing and a small “Black Box” patch for beacon and diagnostics of a disabled satellite. Since 1985, our dedicated team of specialists has set industry standards with the most efficient, scalable and economical technology solutions. New challenges and customer needs offer opportunities to explore new boundaries. NovaWurks provides access to Space for Everyone™ through our HISat™-based cellular spacecraft platform. NovaWurks™ cellular platform enables industry, higher education, and agencies to explore space using their own payloads, custom designed and wrapped in HISats creating an affordable, conformal spacecraft. Established in 1995, Profen Communications is a global communications company based in Istanbul, with branch offices in Ankara, Konya and Tewkesbury. Profen Communications is a leading solution provider in satellite communications and product distributors for market leading companies. Highly experienced in satellite communications; from geographically dispersed VSAT networks to building gateway earth stations and data centers, Profen Communications can design and install complex next generation network infrastructure solutions that merge Satcom, microwave radio relay and fiber optic technologies. Profen Communications has made a pioneering investment by securing a Teleport in Konya, which entered into service in 2016. All infrastructure investment, including construction, installation and integration of the Teleport was provided by Profen Communications. The Teleport guarantees data security within Turkey, providing high-quality data connectivity for a captive government, enterprise and retail customer base. Using the expertise of its group companies, Profen Communications provides turn – key solutions for its customers in Broadcasting, Government, Enterprise, Internet and Telecommunications sectors. Profen Group´s end to end solutions includes consultancy, program management, design, integration, installation and commissioning, testing, after sales support and training. RBC Signals’ vision is to be the world’s leading provider of communication infrastructure and services to the Low Earth Orbit satellite market. Our global ground station network and proprietary cloud-based software platform offer the most flexible and affordable options for returning critical real-time data from orbit to users on Earth. With our experienced team providing deep industry knowledge and relationships, we are changing the way business is done in the rapidly expanding commercial satellite market. The Space Flight Laboratory (SFL) builds smaller satellites for bigger return at low cost. SFL is Canada’s most prolific satellite builder and exporter of satellites internationally. Small satellites built by SFL consistently push the performance envelope and disrupt the traditional cost paradigm. Satellites are built with advanced power systems, stringent attitude control and high data capacity that are striking relative to the budget. SFL arranges launches globally and maintains a mission control center accessing ground stations worldwide. SFL’s mandate is to lower the entry barrier for organizations around the world to meet their needs in space while requiring modest investment. Commercial business models are sensitive to cost and SFL solutions allow businesses to close financial models for new satellite services. The pioneering and barrier-breaking work of SFL is a key enabler to tomorrow’s cost aggressive satellite constellations. STS Global is a dynamic satellite communications + telecommunications company where great engineering minds and outstanding experience intersect. We design & integrate complex satellite network to support military, broadcast and other wireless telecommunication applications. Whether the objective is to broadcast a live event, create systems that provide services to remote locations, transmit critical data to a battlefield, support a new media broadcast center, or provide secure networks for large corporations, our complete range of solutions are dependably a step ahead. By adding sophisticated Satcom to today’s widely developed terrestrial technologies, we creates unique systems that can provide reliable services anywhere on earth. Customers will appreciate the Cost/Value approach, 24/7 dependability, training and support to achieve peak performance. For almost thirty years, Teledyne Paradise Datacom (Paradise) has supplied the satellite communications industry with a broad portfolio of modems and RF products. Today, it is a business unit of the Teledyne Defense Electronics group, and continues to deliver innovative satcom products worldwide. The primary focus of Paradise engineering is on creating significant differentiators and unique architectures for our customers. Our line of RF products is led by our Solid State Power Amplifiers (SSPAs), which range from indoor/outdoor SSPAs to unique SSPA systems like PowerMAX with the highest degree of earth station redundancy. Paradise SSPAs range in power from 25 watts to 10 kW and from S- to Ka-band. The Paradise modem line is led by the ‘Q’ series of modems starting with Q-Flex, perhaps the most versatile satellite modem in the industry, Q-Lite, a size-reduced variant, and Q-MultiFlex, which adds up to sixteen demodulators to the Q-Flex platform. Terrasat Communications designs and manufactures innovative RF solutions for Satellite Communications systems. Our ground-breaking IBUC – the Intelligent Block Upconverter – brings advanced features and performance to C-band, X-band, Ku-band, DBS-band and Ka-band satellite earth terminals and VSAT’s. Our products offer exceptional value at reasonable cost, thereby allowing our customers to stay ahead of their competitors. Through conservative engineering, Terrasat products have gained a reputation for enduring over the long term in extreme operating conditions. The Consortium for Execution of Rendezvous and Servicing Operations (CONFERS) is an industry-led initiative with initial seed funding provided by the Defense Advanced Research Projects Agency that aims to leverage best practices from government and industry to research, develop, and publish non-binding, consensus-derived technical and operations standards for on-orbit satellite servicing (OOS) and rendezvous and proximity operations (RPO). These standards would provide the foundation for a new commercial repertoire of robust space-based capabilities and a future in-space economy. CONFERS is open to participation by private sector stakeholders in the international satellite servicing community. All companies and academic institutions developing, operating, insuring, and purchasing OOS and RPO capabilities are encouraged to join and contribute their experience and expertise. USEI is a communications and aerospace company headquartered at its Brewster, Washington teleport along with its east coast, New Jersey Vernon Valley teleport. USEI provides government, commercial and private satellite and terrestrial teleport network services including TT&C; broadcast video; aviation; GEO, MEO & LEO tracking, and Internet services delivery. Experts in RF over Fiber. ViaLite designs and manufactures RF over fiber links and systems for use in Satcom, Broadcast, Defense, Cellular and GPS etc. Popular links include: L-Band HTS, Broadcast, VSAT, Satellite IF, Ultra-Wideband and UHF/VHF. The links are available as OEM modules or chassis cards for the ViaLiteHD 19” 1U or 3U rack chassis. Distances: 0-10km, 50km and Long Distance DWDM Link Systems to 600km. A Rain Fade Diversity system is also available for Ka-Band. RF frequencies to 6 GHz. New products include the L-Band HTS – HWDR (Hyper-Wide Dynamic Range) link and Horizons SNMP for monitoring and control. Further support cards/modules include: CWDM/DWDM, 1:1 Redundancy, Splitters, Amplifiers, Digital Data and Ethernet. A range of outdoor enclosures are available including the new ODE-A4 enclosures for VSAT, Quad LNB and GPS, and the 25U ODE-D+ with air-conditioning. ViaLite offers an industry-leading 5-year product warranty, full system design and support. XipLink is the technology leader in wireless link optimization (WLO) using industry standard SCPS TCP acceleration, UDP enhancements, data/header compression, link bonding and Internet optimizations to deliver a better wireless experience over stressed communication links. Our award-winning XipOS software dramatically improves web experience and optimizes other Internet traffic in markets such as maritime, cell backhaul, ISP backhaul, military and aviation broadband. The XipLink solution is packaged into appliances or virtual images and sold through OEM, Integration and Service Provider partners around the world. XipLink is a privately owned company with headquarters in Montreal, Quebec Canada and field personnel worldwide. Zodiac Data Systems, a SAFRAN company, is a high technology company that designs, manufactures and supplies a broad range of products and solutions for satellite ground stations including: receivers for satellite command and control, high data rate receivers for data collection from earth observation satellites, operational end-user receivers that are both TT&C and high data rate receivers, 2.4 to 11m S, X and Ka-band antennas as well as a QoS web-based service monitoring satellites in GEO orbit. We would like to tell you more about our high data rate receivers for remote sensing (Cortex HDR), Deep Space processors (Cortex DS), TT&C modems (Cortex CRT),SSPA, Up/Down Converters, IF recorders (RSR), Wideband Recorders (WBR), TT&C/HDR combo for end users (SATCORE) and other integrated solutions. Serving U.S. military and government organizations, NASA, NOAA and U.S. Government Contractors for over 20 years.